Sponsorships for school children – Kidshelp Kambodscha e.V. As an organization that is dedicated to improving education in Cambodia, we also want to help that existing facilities are accessible to all Cambodians. To make this possible, we have been doing our sponsorship programme for primary, secondary and high school students, since we started our commitment in Cambodia. Unfortunately education is not always given the significance that it deserves. The fact that many household do not have enough income to survive and a lot of students have to help at home, adds to the problem. 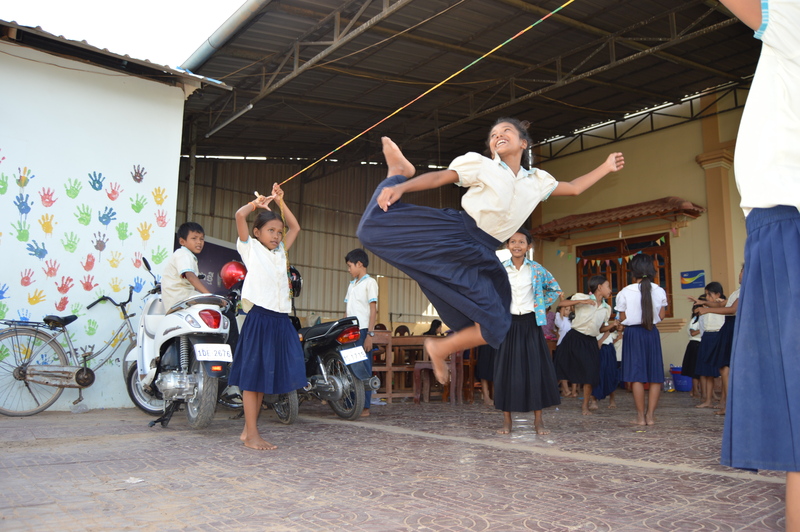 It is for these reasons, that more than one third of Cambodians quit school before they even finish primary school. The statistics are even more alarming for the higher levels. Our sponsorships are designed to give the families more economic independence and allow them to pay for materials they need at school. Our staff on the ground checks the school visit and the marks once a month by personal school books that have to be filled in and signed by the teachers monthly. They are also in contact with the families and the teachers to make sure that they can provide further help and support if necessary.